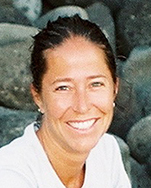 Alexandria Boehm is a Professor in the Department of Civil and Environmental Engineering at the University of Stanford. Her primary research areas are coastal water quality and sanitation with a focus on waterborne pathogens. 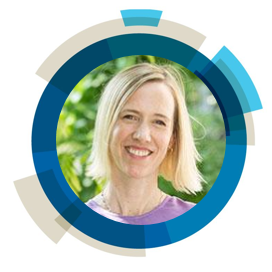 Her work is focused on key problems in both, developed and developing countries with the overarching goal of designing and testing novel interventions and technologies for reducing the burden of waterborne disease. Philip Gschwend is a Professor of Civil and Environmental Engineering at MIT. His research focuses on environmental organic chemistry, including phase exchanges and transformation processes, modeling fates of organic pollutants, roles of colloids and black carbons and passive sampling for site evaluation. 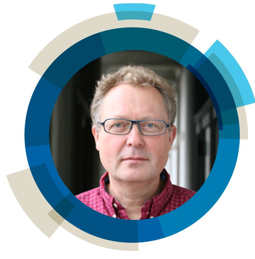 Andreas Kappler is professor for geomicrobiology at the University of Tübingen, Germany, and his main research is the biogeochemical cycle of iron and the consequences for the fate of pollutants and trace metals in modern environments as well as the consequences for rock formation on early Earth. Karen Kidd is based at the University of New Brunswick, Canada. Her research interests focus on fate and effects of contaminants in aquatic food webs. 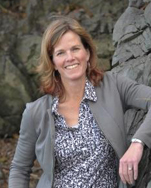 Linsey Marr is a Professor of Civil and Environmental Engineering at Virginia Tech. 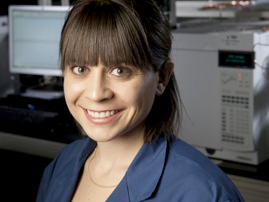 She is interested in characterizing the emissions, fate, and transport of air pollutants in order to provide the scientific basis for improving air quality and health. 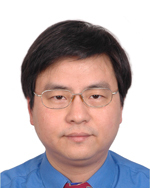 Junji Cao is the Director of the Key Laboratory of Aerosol Chemistry and Physics and the Vice President of the Institute of Earth Environment at the Chinese Academy of Sciences. His work encompasses three main strands – carbonaceous aerosol chemistry, atmospheric chemistry and urban atmospheric pollution. 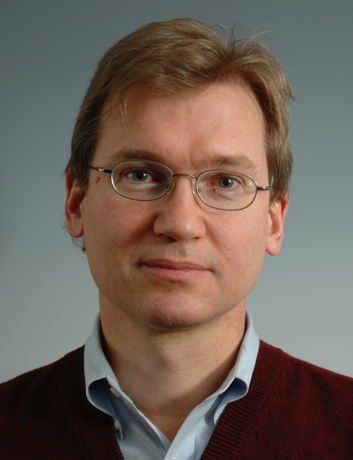 Urs Baltensperger is the Head of the Laboratory of Atmospheric Chemistry at the Paul Scherrer Institute. His work focuses on aerosol science and technology. 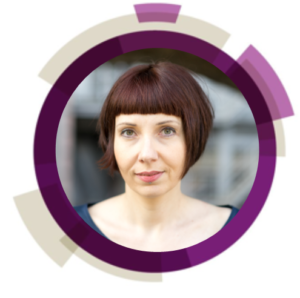 Beate Escher is the Head of the Department of Cell Toxicology at the Helmholtz Centre for Environmental Research. Her research interests focus on mode-of-action based environmental risk assessment, including methods for initial hazard screening and risk assessment of pharmaceuticals, pesticides, disinfection by-products and persistent organic pollutants with an emphasis on mixtures. 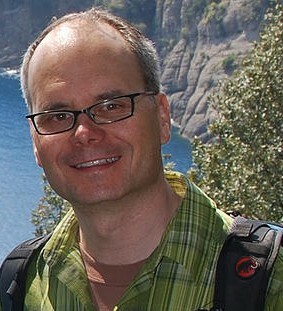 Derek Muir is a Senior Research Scientist and Section Head at the Environment and Climate Change Canada. 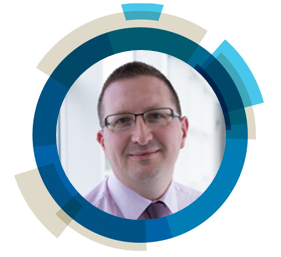 His work aims to develop knowledge on the distribution, fate and bioaccumulation of priority substances in order to provide policy- and decision-makers with information to make sound decisions on assessment and management of chemicals. 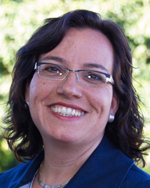 Jasquelin Peña is an Associate Professor in the Faculty of Geoscience and Environment at the University of Lausanne. Her research is aimed at improving the environmental quality of soils and waters impacted by metal pollution. 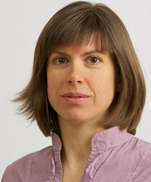 Kathrin Fenner is a Senior Scientist in the Department of Environmental Chemistry at Eawag. 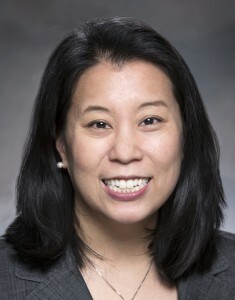 The goal of her research is to develop more accurate methods to assess persistence and risk from transformation product formation in regulatory risk assessment procedures. 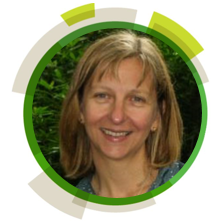 Her work focuses on three main strands – prediction of biodegradation pathways and rates, hazard and risk assessment of transformation products and improved tools for persistence assessment. David Waite is a Scientia Professor in the School of Civil and Environmental Engineering and the Dean of Research in the Faculty of Engineering at the University of New South Wales. 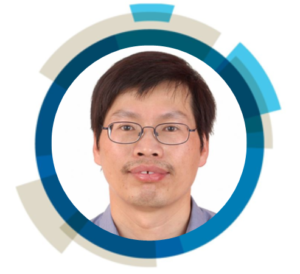 His biogeochemical work aims to improve our understanding of natural aquatic systems and enables us to i) prevent environmental degradation and ii) develop appropriate solutions to challenges such as provision of water supply and improving human health. 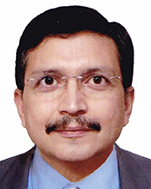 Sachchida Nand (Sachi) Tripathi is a Rajeeva and Sangeeta Lahri Chair Professor in the Department of Civil Engineering & Department of Earth Sciences at the Indian Institute of Technology Kanpur. His research focuses on the chemical, microphysical and optical properties of aerosols. 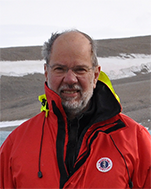 Stuart Harrad is a Professor of Environmental Chemistry at the University of Birmingham. His research addresses all aspects of the environmental sources, fate and behaviour of persistent organic pollutants (POPs). He has particular interests in human exposure to POPs with a focus on indoor pathways. He is also active in research that explores the environmental forensics utility of chirality. 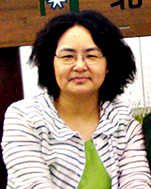 Jian-Ying Hu is a Professor of Urban and Environmental Science at the Peking University. 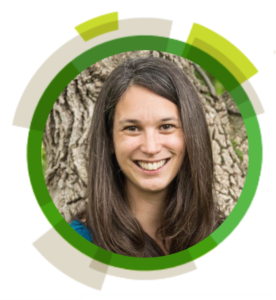 Her work focuses on the occurrence and fate of environmental contaminants, toxicology mainly for endocrine disrupting chemicals and health/ecological risk assessment. Ruben Kretzschmar is a Full Professor of Soil Chemistry and head of the Institute of Biogeochemistry and Pollutant Dynamics, Department of Environmental Sciences at ETH Zurich. His current work focuses on the biogeochemistry of metals and metalloids in periodically flooded or water-saturated soils, such as contaminated river floodplains and irrigated rice paddies. 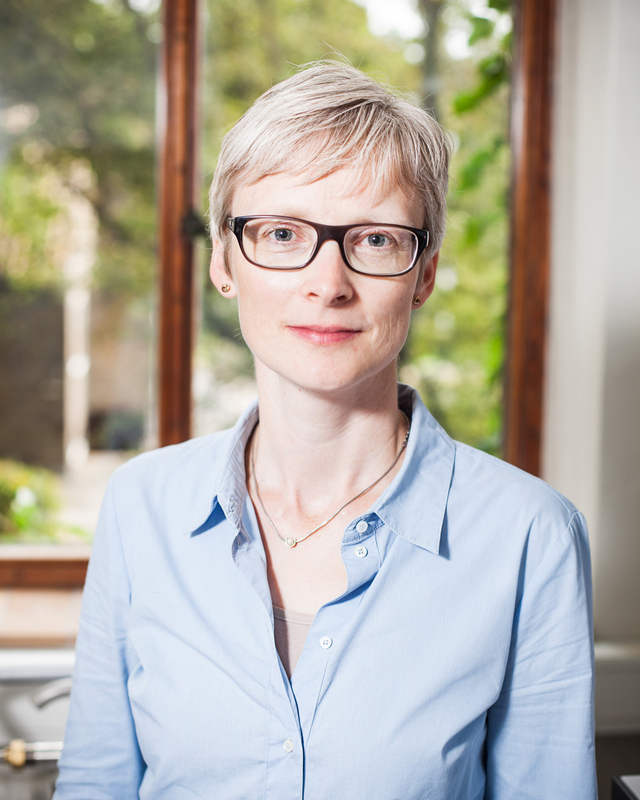 We are delighted to introduce Marianne Glasius as a new Editorial Board Member for Environmental Science: Processes & Impacts. Marianne joins the team as an Editorial Board Member, and will start her role as Associate Editor from January 2017. Marianne will be joining Liang-Hong Guo, Helen Hsu-Kim, Edward Kolodziej, Matthew MacLeod and Paul Tratnyek as Associate Editors handling submissions to the journal. 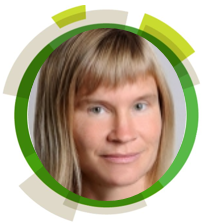 Marianne Glasius is Associate Professor at the Department of Chemistry at Aarhus University, Denmark (since 2006), where she is also affiliated with the Interdisciplinary Nanoscience Center and the Arctic Research Centre. She received her Ph.D. in Chemistry from University of Southern Denmark in 2000. During her studies she stayed at the European Commissions Joint Research Centre, Ispra, Italy for a year. Dr. Glasius was a scientist and senior scientist at the National Environmental Research Institute, Denmark for six years. Recently, she visited University of California, Berkeley for one year, working with Prof. A.H. Goldstein at the Department of Environmental Science, Policy and Management. The research of Dr. Glasius focuses on development and application of advanced chemical analyses for identification and characterization of organic compounds in complex matrices. The aim is to obtain understanding of processes whether these involve atmospheric aerosols affecting air pollution and climate, or development of bio-fuels of the future. Please join us in welcoming Marianne to Environmental Science: Processes & Impacts. We are delighted to introduce Helen Hsu-Kim, Matthew MacLeod and Paul Tratnyek as three new Associate Editors for Environmental Science: Processes & Impacts. Helen, Matt and Paul join Liang-Hong Guo and Ed Kolodziej as Associate Editors handling submissions to the journal – more details about their research interests are given below. 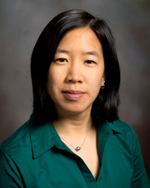 Heileen (Helen) Hsu-Kim is the Yoh Family Associate Professor of Environmental Engineering at Duke University. Her expertise areas include aquatic geochemistry, biogeochemistry of metal pollutants in the environment, and nanogeoscience. 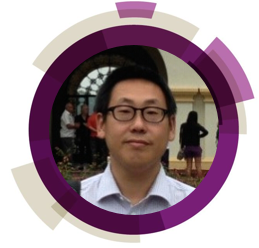 Ongoing research activities in Dr. Hsu-Kim’s group include studies on mercury biogeochemistry and remediation, mineral-microbe interactions, the disposal implications and reuse opportunities for coal ash, and the environmental impacts of nanotechnology. Additional details of the Hsu-Kim research group can be found online here. Please note that Professor Hsu-Kim will start handling submissions starting on June 2016. 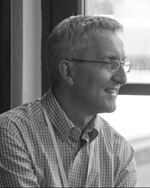 Matthew MacLeod is Professor of Environmental Chemistry at the Department of Environmental Science and Analytical Chemistry at Stockholm University. He holds a Bachelor of Science degree in Chemistry from the University of Victoria (British Columbia, Canada), and a PhD in Environmental Chemistry from Trent University (Ontario, Canada). He was a post-doctoral fellow at the Lawrence Berkeley National Laboratory in Berkeley, California, USA, and a Research Group Leader at the Swiss Federal Institute of Technology (ETH) in Zürich, Switzerland. Since 2010 he has been a faculty member at Stockholm University, Sweden. 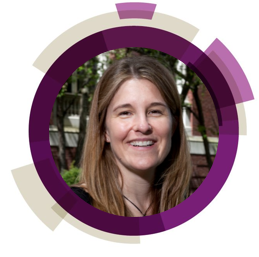 Prof. MacLeod’s research interests include the fate, exposure and effects of persistent organic pollutants (POPs), modeling chemical pollutants, and environmental impacts of micro- and macro-plastics. 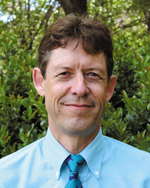 Paul G. Tratnyek is currently Professor, and Associate Head, in the Division of Environmental and Biomolecular Systems (EBS) and Institute of Environmental Health (IEH), at the Oregon Health & Science University (OHSU). He received his Ph.D. in Applied Chemistry from the Colorado School of Mines (CSM) in 1987; served as a National Research Council Postdoctoral Fellow at the U.S. Environmental Protection Agency Laboratory in Athens, GA (ERD-Athens), during 1988; and as a Research Associate at the Swiss Federal Institute for Water Resources and Water Pollution Control (EAWAG) from 1989 to 1991. His research concerns the physico-chemical processes that control the fate and effects of environmental substances, including minerals, metals (for remediation), organics (as contaminants), and nanoparticles (for remediation, as contaminants, and in biomedical applications). Dr. Tratnyek is best known for his work on the degradation of groundwater contaminants with zero-valent metals, but his interests extend to all aspects of contaminant reduction and oxidation (redox) in all aquatic media. Some of his recent work emphasizes the fate/remediation of emerging contaminants (e.g., nanoparticles and 1,2,3-trichloropropane). 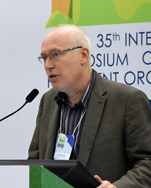 The appointments of Helen, Matt, and Paul, illustrate the exciting future for Environmental Science: Processes & Impacts, as outlined by Editor-in-Chief Professor Kris McNeill in his recent Editorial. We are delighted to welcome them to the Environmental Science: Processes & Impacts team. 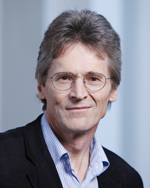 We are pleased to announce that Professor Kris McNeill (ETH Zürich) will be taking on the role of Editor-in-Chief for Environmental Science: Processes & Impacts from 2016. Professor McNeill has been an active member of the Editorial Board of Environmental Science: Processes & Impacts for several years. 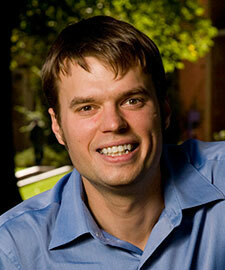 His research focuses on environmental chemistry in aquatic systems, particularly regarding reaction mechanisms. Kris takes over from Professor Frank Wania, who finished his term as Chair of the Editorial Board at the end of 2015. 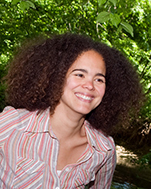 Continuing our series of blog posts introducing the newest Editorial Board members of Environmental Science: Processes & Impacts, in this article we are delighted to welcome Desirée Plata as a new Editorial Board member of the journal! Dr Plata holds a Ph.D. in Environmental Chemistry and Chemical Oceanography from the MIT and the Woods Hole Oceanographic Institution. She has a B.S. in Chemistry from Union College and proudly attended Gould Academy for high school. Desirée’s interests focus on improving the development of novel chemicals and engineered systems to include environmental objectives, along with traditional performance and cost metrics. She seeks to predict and mitigate environmental damage through physiochemical understanding of material reactivity, prognostic fate models, and geochemical analyses. Also, she is working towards the design of benign syntheses via mechanistic understanding of chemical reactions used in industrial processes. “I envision a future in which technological solutions do more good than harm. In particular, I think environmental scientists should work with material and process designers to ensure technologies that both sustain and advance environmental health. Make sure you don’t miss out on the latest journal news by registering your details to receive the regular Environmental Science: Processes & Impacts e-alert. We are delighted to welcome new Associate Editor Ed Kolodziej to the Environmental Science: Processes & Impacts Editorial Board in the fifth of our Introducing series of blog posts. Ed received a Ph.D. in Environmental Engineering at the University of California, Berkeley in 2004. 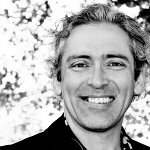 He is currently an Associate Professor at the University of Washington, with joint appointments in the School of Interdisciplinary Arts and Sciences (UW Tacoma), and the Department of Civil & Environmental Engineering (UW Seattle). He is also affiliated with the Center for Urban Waters, also located in Tacoma, Washington. Ed’s research investigates the transport, fate, reactions and ecological implications of human-derived pollutants in natural and engineered aquatic systems. He also investigates how engineered treatment systems work and optimizes their performance for contaminant removal, with a special interest in non-point source pollution and engineered natural systems. It is evident that human activities have significant impacts on water quality, but I think we don’t actually know the answers to “how, what, when” type questions yet to understand what these impacts really are. These are key questions to answer: Which chemicals matter? Which don’t? What should we do about them? We are discharging tens and even hundreds of thousands of chemicals into water, air, and soil, yet we have an surprisingly incomplete understanding of whether this is a bad idea or not, whether any adverse impacts occur on our ecosystems or us from these pervasive exposures. We still struggle to prioritize our efforts on understanding chemical fate and impacts, and for those with adverse impacts, what the best mitigation and treatment strategies are. So, I’d say my research vision is to try and figure out which of these chemical impacts on water quality are important and which are not. Once we understand that question, we can move on to technical and policy solutions for problematic compounds. Having grown up in the outdoors, especially fishing with my family, I am pretty sure that I really like water and spending time around it! So I am inspired and motivated by the thought that I can be part of this larger effort in making sure humans and ecosystems have enough of the high quality water we all need. It’s so clear that we are not on a sustainable path, and we need to figure out some good solutions to the worst problems, including preventing future problems, in a world of limited resources. Ed is now accepting submissions – submit your manuscript to him today! Follow us on Twitter @ESPI_RSC. 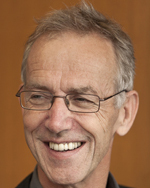 Yngvar is currently a Research Director for the Department of Chemical and Biological Work Environment at the National Institute of Occupational Health in Oslo – where he has spent 35 years of his professional life. After graduating from the Department of Analytical Chemistry at the University of Oslo in 1973, Yngvar spent a year at the Norwegian Defence Institute before taking a post research associate position, back at the University of Oslo.In 1978 he worked for the Department of Environmental Studies and Geology at the University of Toronto as a visiting scientist. He has since been appointed as a Professor in Environmental chemistry, Department of Plant and Environmental Science, at the Norwegian University of Life Sciences. My passion for research and teaching derives from my quest for social and environmental interest. This has inspired me throughout my professional life as an analytical chemist. From occupational and personal use of products to nutritional intake people are exposed to a variety of chemical agents – many essential or non-essential compounds with the potential to affect our health. Analytical science has been and is an important instrument in chemical exposure science which strives to collect and analyse qualitative and quantitative information which is needed to understand the nature of contact between people and chemical stressors. There are a continuous demand for exposure science information to meet the need to understand the fate of stressors and to establish exposure data, not only for the existing chemical agents, but also for the thousands of new chemicals introduced into the marked each year. Guest Editors David Cwiertny, Juana Maria Delgado-Saborit and Hee-Deung Park introduce the third edition of our emerging investigators issue. Celebrating the best and brightest amongst early career environmental scientists around the world, this collection of reviews and papers demonstrates the talent, innovation and creative ideas that new researchers can bring. Read the profiles of the contributors to find out more about our young scientists, including their research objectives, inspirations and what environmental challenges they believe the future holds. We have made the following HOT articles free* to access for a limited time only! We hope you enjoy reading this collection as much as we did. For the full collection, visit our 2014 Emerging Investigators Themed Issue platform.